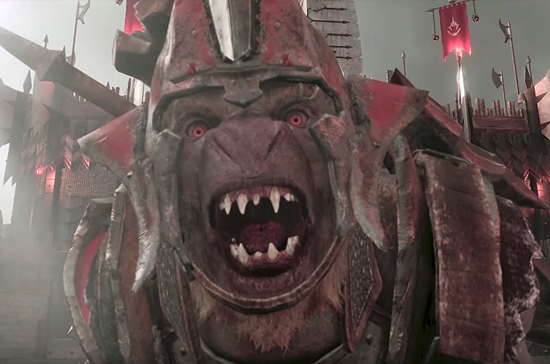 A NEW video for Middle-earth: Shadow of War, spotlighting the Warmonger tribe, a faction of Orcs who take reverence for warfare to new levels. For a Warmonger Orc, every moment not spent in battle is a moment wasted as their greatest Warchiefs are those who have carved a bloody swath across Mordor, slaying everything in their path. In Shadow of War, Orcs now belong to tribes, which extend their influence stemming from the Overlords ruling the mighty fortresses throughout the open world, providing a rich ecosystem of missions, exploration and a dynamic Orc society with diverse Orc cultures, all brought to life through the expanded Nemesis System. The Warmonger Orcs are masters of war and combat, they seek it out and relish it, honouring Sauron's name with every riven shield and battle won. Set between the events of The Hobbit and The Lord of the Rings, Middle-earth: Shadow of War is an open world action RPG that continues the original narrative of Middle-earth: Shadow of Mordor. Players will be engrossed in a richer, more personal and expansive world full of epic heroes and villains, iconic locations, original enemy types, more personalities and a new cast of characters with untold stories. Middle-earth: Shadow of War will be available for Xbox One X, Xbox One, Windows 10 PC (Windows Store and Steam), PlayStation 4 and PlayStation 4 Pro beginning 10th October 2017.